Most browsers temporarily stores images, scripts, and other parts of websites you visit in order to speed up your browsing experience. Your browser do the same with the Mediabank files in order to provide you with a better work experience when switching back and forth between the different applications. Sometimes the technology are playing a trick on us and misses new and updated files on the visiting web server. We have received reports that suspects Mediabank also may be a victim for this anomaly, especially after a main upgrade. It does not harm your computer and the solution is to clear your browsers cache, forcing it to get updated files into its cache again. This article describes how to clear the cache on the most common browsers. This is a very common industry problem and If your browser is absent from this article you can most likely get guidance from your own browsers help function. The following browsers are described: Internet Explorer, Google Chrome, Mozilla Firefox, Opera and Safari. You can remove the browser cache in several ways. But if you just want to remove your cache and keep your log in credentials you must activate a hidden developer menu. From the Safari menu, go to Preferences and then select Advanced. At the end of the menu there is a field with the text "Show develop menu in menu bar". Make sure the box is checked. Now, the new menu item for developer has become available. Click on develop and then click on Empty caches. Your done. The cache is deleted. A second alternative way to clear the browser cache without the develop menu. 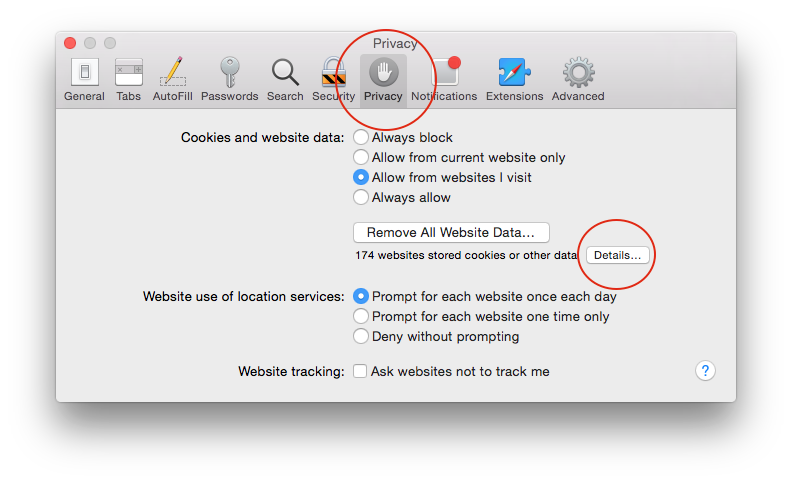 From your Safari menu bar click Safari > Preferences then select the Privacy tab. A third alternative way to clear the browser cache without the develop menu. Observe that your user Id & password will be cleared together with the cache. 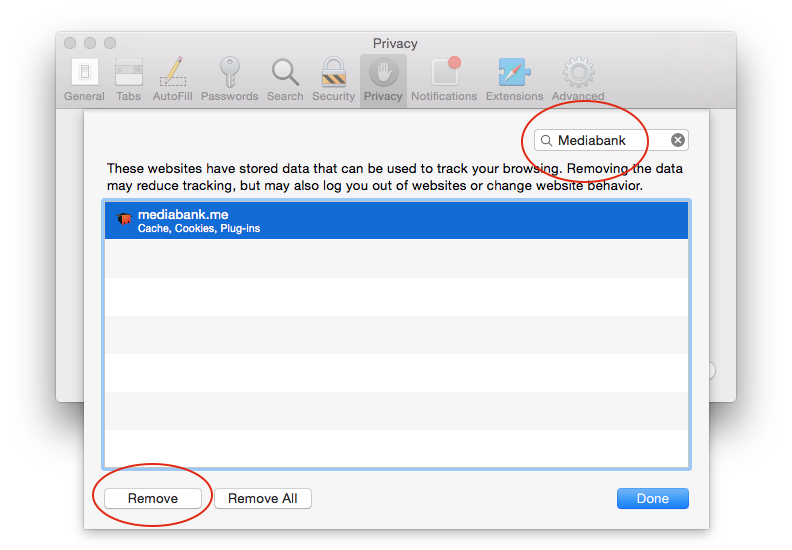 Click the "Privacy" icon at the top of the dialog box. Type "Mediabank" in the search field. Select "mediabank.me" from the list. The easiest way to clear the cache in the Internet Explorer is to push "Ctrl + Shift + Del". Then check «Temporary Internet files and website files» and click on "Delete". You may also perform a "forced refresh" by hitting Shift + Ctrl + F5. If necessary, restart your browser. The easiest way to clear the cache in the Opera browser is to push "Ctrl + Shift + Del". Then check "Empty the cache" and click on "Clear browsing data". As an alternative you can got to settings, write "cache" in the search settings option. You will then see the "Clear browsing data" window. Select "empty the cache" and hit the "Clear browsing data" button. You have control over your browsing data. This information includes things like your browsing history, saved form entries, and other types of data. You can delete all your data or just some from a specific period of time. In the box that appears, at the top, choose a time period, such past hour or past day. To delete everything, select beginning of time. Download history: The list of files you've downloaded using Google Chrome is cleared, but the actual files are not removed from your computer. Cookies: Files stored on your computer by websites you've visited. These files contain user information, such as preferences for websites or profile information. Site data: HTML5-enabled storage types including application caches, Web Storage data, Web SQL Database data, and Indexed Database data. Plug-in data: Any client-side data stored by plug-ins that use the NPAPI ClearSiteData API. Cached images and files: Browsers store parts of webpages to help them load faster during your next visit. Text and images from webpages you've visited in Google Chrome are removed. Passwords: Records of passwords are deleted. Autofill form data: All your Autofill entries and records of text you've entered on web forms are deleted. Hosted app data: Data from the apps you’ve added to Chrome from the Chrome Web Store are erased, like the local storage used by Gmail Offline. Content licenses: Prevents Flash Player from playing any previously viewed protected content, such as movies or music that you’ve purchased. It’s recommended to deauthorize content licenses before selling or donating your computer. In the History section, set Firefox will: to Use custom settings for history. For more information on the other options, see Delete browsing, search and download history on Firefox. 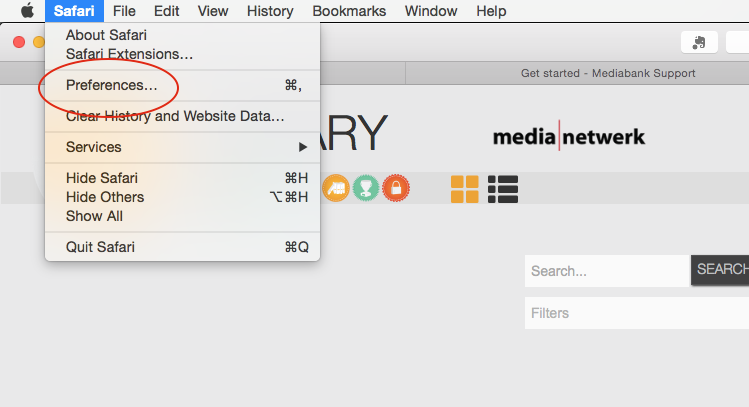 Tip: There are several add-ons available that will allow you to clear the cache using an icon on your toolbar. Go to the Mozilla Add-ons Web Page to do a search.